I’ve always been a fan of Marc’s work, but this is the first time, I really fell in love with it! It all just worked for me: the grays and beiges, the A-lines, the little fur details, the romantic touch…it all seemed so fresh, effortless and above all genuine. The show was great, too. Its the first time, I actually watched a live stream and it was definitely worth it staying up until 2am. 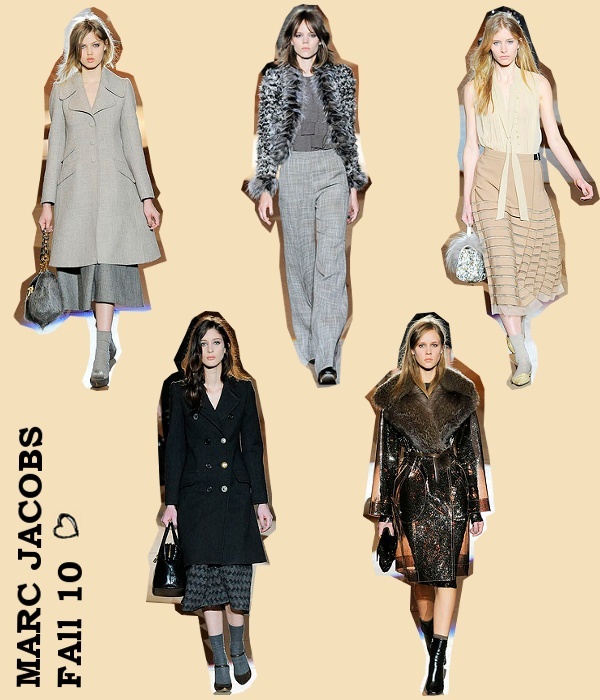 Les Coupines agree: this has been one of the best Marc Jacobs shows so far!! Have a look at the whole collection here. p.s. : and don’t miss the live stream of the Proenza Schouler show, tonight at 8pm EST on their website.